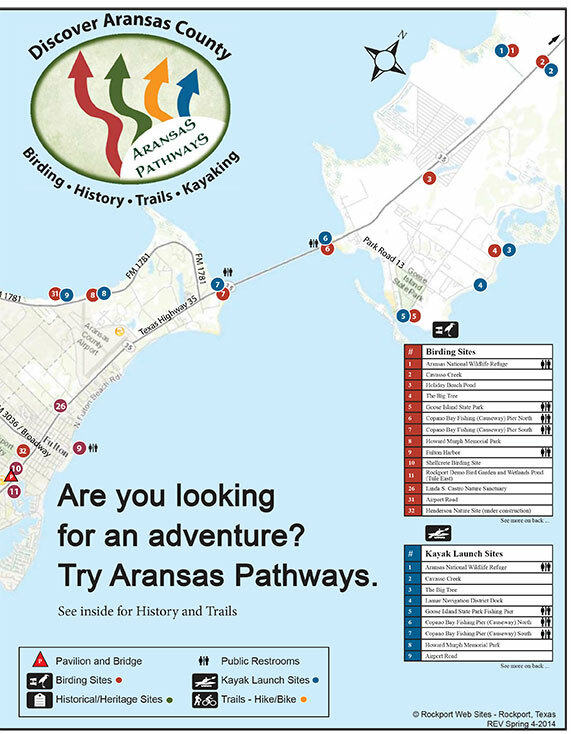 Aransas Pathways – What are your Pathways in Rockport, Fulton and Aransas County? Yes – all this is available in Rockport, Fulton and Aransas County. Aransas County and the Cities of Rockport and Fulton are rich in natural resources. Our wealth of historic sites, birding opportunities, water-based recreational opportunities and the dedication of the community to their preservation are self evident in the many organizations that have been established to preserve and enjoy them.